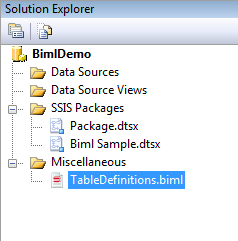 In this webinar recording, we show you BimlBundles and Extension Points that provide you the ability to precompile your Biml code in a distributable bundle. In building BimlFlex we looked at the competition, and the one thing they don't do or do very poorly is the ability to extend upon their solution when your requirements do not fit their solution. Watch the webinar and see how you can also offer our customers unprecedented customization and flexibility. If you want to see all our webinars you can follow our Youtube channel.